Tippecanoe County Sheriff candidates Jason Dombkowski (left) and Bob Goldsmith (right) speak to debate attendees at Harrison High School. 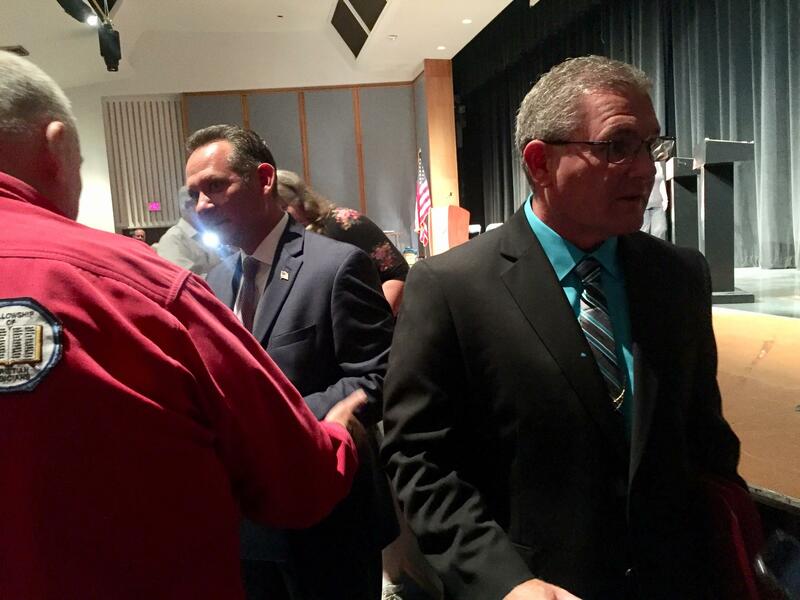 The candidates for Tippecanoe County Sheriff held their only debate Wednesday night before a crowd at Harrison High School. Bob Goldsmith and Jason Dombkowski agreed on almost everything…except for which one has the most relevant experience. The Tippecanoe County Sheriff’s Lieutenant and West Lafayette Police Chief are running for the same office on very similar platforms. What this race will come down to, both say, is what leadership style the people trust to make those things happen. Goldsmith has been with the sheriff’s department for about 20 years. He says his institutional knowledge is an advantage. Dombkowski says a fresh perspective would do the department good. He’s running on an extensive resume of training and, according to him, improving the West Lafayette Police Department while chief. The debate focused on issues including the opioid epidemic, jail overcrowding and the department’s involvement in the community – the latter of which many believe caused current sheriff Barry Richard not to win even this year’s primary election. Dombkowski continued to tout an opioid addiction treatment program which would first lock drug users up and then treat them. 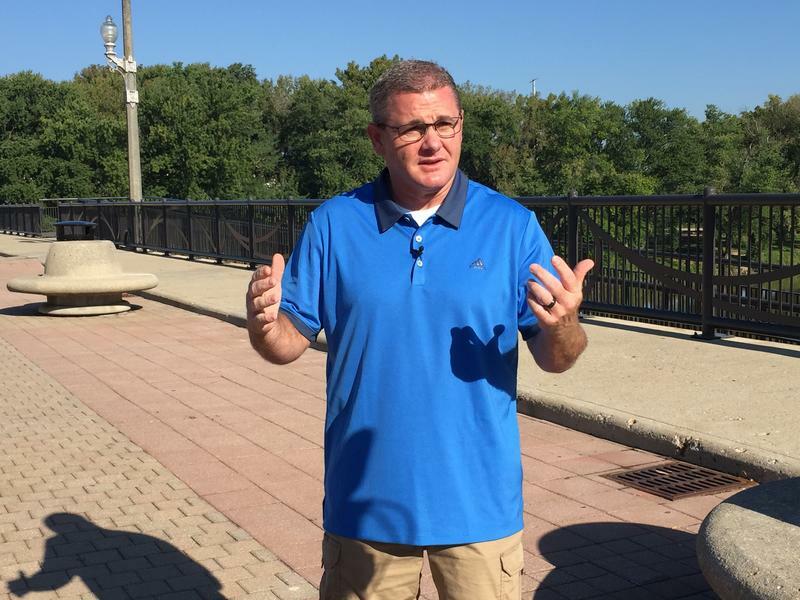 Both candidates agree a detective should be assigned to the Tippecanoe County Drug Task Force. And Lieutenant Bob Goldsmith, the Democratic candidate in the race, who oversees the detectives division, stressed the importance of working with other agencies in the community to tackle problems. The next sheriff will be decided, along with a slate of other local races including those for county clerk and county council, on November 6.